Boutonniere: A boutonniere or buttonhole is a floral decoration worn by the groom and groomsmen, typically made of a single flower or bud. Shoes: Spend some money on decent and well fitting leather shoes and your feet will thank you at the end of the day! Socks: Traditional plain socks are always in style. You can follow the popular trend of having each groomsman wear a unique pair of colorful socks. Or choose from our range of personalised socks to suit their role in the bridal party. Ties: Choose a tie to match the bridal party's dresses and accessories. Select either a matching or complementary lighter or darker shade. Subtle variations of patterns or texture can individualise the look. Cufflinks and Tie Clips: Choose from our range of cufflinks and tie clips to finish off the outfit perfectly. 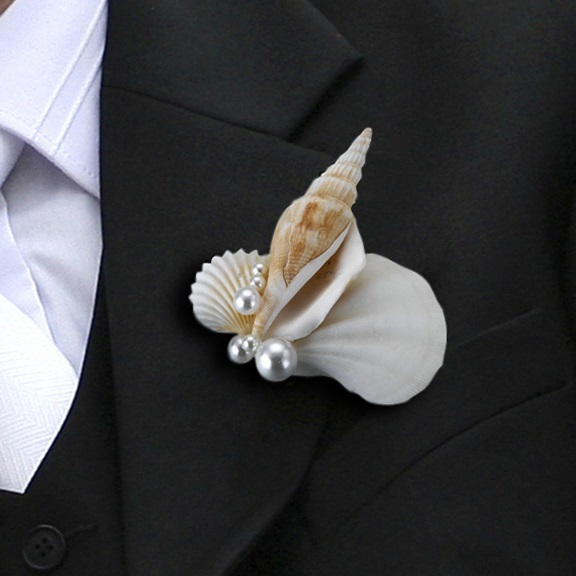 Also check out our Groom and Male Bridal Party Pinterest board.